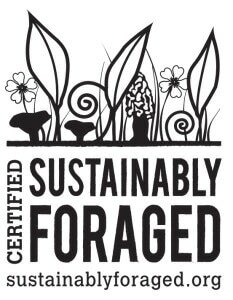 The Institute for Sustainable Foraging, located in Traverse City, is the first organization in the country to create guidelines and offer certification for sustainably foraged goods. Over the past few years, there has been a substantial rise in demand for ramps (wild leeks), fiddlehead ferns, various wild mushrooms and other foraged products for commercial and personal use. Due to the increase, there are growing concerns about people exploiting the resources and their long-term viability. Adding to the worries, little research currently exists on what constitutes sustainable harvesting practices. In response to this concern, the Institute for Sustainable Foraging (ISF) was created in March. Brian Bourdages, the program manager at Tamarack Holdings, LLC—the company that owns a group of food businesses including Cherry Capital Foods, Earthy Delights, TLC Hydroponics and Up North Distributing—is serving as the interim executive director for the ISF as it’s developed. The ISF will start by certifying ramps. The goal is to extend the certification program to other goods such as fiddlehead ferns and common mushroom varieties. To become certified, professional foragers must go through the standards with ISF staff, and if they are in compliance and agree to remain in compliance they’ll be allowed to use the seal. After receiving certification, there will be a third-party audit about every three years. In May, Michigan will join a two-year, multistate study designed to better understand how ramps reproduce. The research is being done at Virginia Tech with help from the US Forest Service, North Carolina Arboretum and the Eastern Band of the Cherokee Nation. “By adding Michigan, researchers are able to add a whole different region of the country to the study where ramps are native and the population is more prolific,” Brian says. Results from the study will help the ISF to better assess their sustainable foraging standards. Wait until the plant is mature. Look for bright green, full leaves. Harvest from a location with a large population so you don’t deplete an area. Rather than digging up the entire ramp, snap off the bulb just above its base, leaving the very bottom of the bulb, the roots and any rhizome material in the ground. Don’t harvest an entire clump of ramps. Instead, just take two or three. If you’re foraging on public land, be conscious of rules regarding what’s allowed to be removed from the land. Also, recognize that others may be harvesting in the same location. Take extra care to not overharvest the area.